15 reasons you should give your fingers a rest. 1. Our communication skills are bad enough these days. Texting and other recent technology have allowed us to get away with as little verbal communication as possible, causing our face time (not that kind) to be less-than-exemplary when we actually have to open our mouths and seem capable of well, having a conversation. 2. Texting can give a false sense of interest. Sure, I could send you the most enthusiastic text you've ever seen, but I could also be completely full of it. And thanks to texting, you'll never know. But why would I make the effort to call you and do the same? You're right, I'm not going to. Cell phone math: Phone call = sincerity. Text = who knows. You can get everything you want out in a single correspondence. No need to wait for a reply, repair autocorrect's attempt to change "AMIRITE" to "Ameritech" (true story), or send/receive tidbit after tidbit of a thought or story. 4. Making a call says something about the kind of person you are. 5. Sometimes emojis don't say it all. Life is hard enough without the added pressure of deciphering an emoji sequence that you're pretty sure reads "To Hell with everything. My plan is to eat my feelings and jump in front of a moving vehicle." but was actually meant as "Today was the worst. Want to get cupcakes? I'll grab us a cab." Also I read right through your endless emoji hearts. No one has that much SMS love to give. No one. 6. You're less likely to make a mistake. I can't tell you how many times I've sent a screenshot or text to the wrong person in my message log, especially when talking to multiple people at once. But how many times can you say you've called up the wrong person and had an entire conversation without realizing it? My point exactly. 7. You can actually hear someone's tone. Guess what's not fun. GUESSING. And texting is a guessing game of Is he/she mad at me? What did they mean by that punctuation? I've already had a full work day. No thank you. 8. Text messaging is not personal, don't kid yourself. Show me you've never copied and pasted a story you told to one friend into a conversation with another and then try and tell me just how personal texting really is. Having a conversation on the phone, no matter how many people you may talk to about one situation or happening, etc. is unique every time. You can't say the same for all your texts. 9. A phone call shows that someone is dedicating time and one's undivided attention to a conversation. 10. There is a definitive end to the conversation. If you're talking on the phone, there is a hello, there is a conversation, and there is a goodbye. When you're texting, there is the unknown, and then there is you half-asleep waiting for a response from your friend/significant other/family member/bumble match/etc. Being woken up by that "ping" is the work of the devil and one of the worst feelings in the world, I'm calling it (no pun intended). 11. It's a safety issue. Yes, we know it must be so exhausting holding your 7oz phone up to your ear, but you know what's more exhausting? Holding up a bag of ice to your eye because you're one of the countless people who've dropped their cell on their face while lying down and texting. It's a sad reality for our generation, but a reality nonetheless. 12. Texting long thoughts and conversations is exhausting (and your friends hate you for it). No one wants to read an essay on their phone. They aren't even reading actual interesting articles on the Internet that long, so what makes you think they're psyched when they get your pages-long text? It's added effort for both parties, so why not just pick up the phone and spend two minutes explaining yourself? You'd probably finish telling your story before you finished typing it, anyway. 13. Phone calls require your full attention. When you're in a phone conversation, you have to be in that phone conversation otherwise you're going to seem like a total jerk if the person you're talking to asks a question after you haven't been listening for the past 5 minutes. Texting lets people off the hook to do as they please, answer when they want (if at all), and fein undivided attention. 14. It's honestly just nice to hear someone's voice. Wouldn't you prefer to hear your friend actually laughing rather than read "Hahahaha" and wonder if it's really happening on the other end? 15. Text messages can be much too calculated. Someone can sit with your text to them for hours while crafting the perfect response. And yes, while sometimes it's best not to come back with the first thing that springs to mind, is it even really a conversation when you've spent so much time thinking of what to respond? All your friend said was, I'm gonna make a Starbucks run, want to come? anyway, how many places can you head with that? So please, I beg of you, release your hands from that death grip around your keyboard, pick up the phone, make a call, and have a conversation. I promise, you'll be okay. It's weird, because my generation grew up not having many other forms of communication until junior high, so we all talked on the phone with our friends. 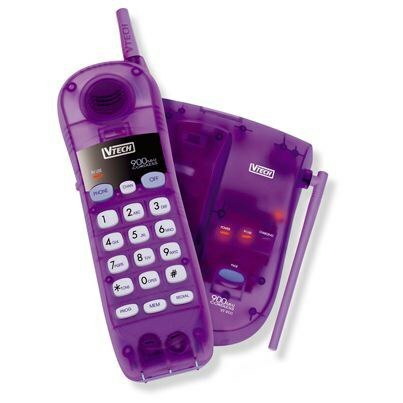 I even had my own house phone in my room. This was before I had a cell phone with limited talking minutes, so my phone calls were almost daily and would last hours. But even past the house phone era and into today, I completely still prefer talking on the phone to texting. 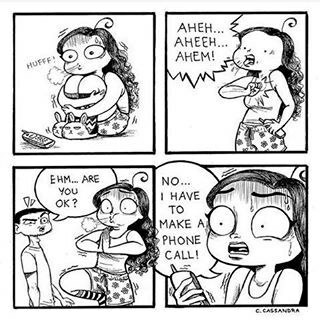 People get weirded out when I call them if my question or statement was even remotely textable, and I just don't understand this anxiety surrounding phone calls. Have you ever typed out multiple-paged texts? It's physically tiring after awhile. Seriously. Some people actually become arthritic in their thumbs when they text a lot, or develop carpal tunnel. If that's not reason enough, I'll continue. 2. It's faster to call. Talking on the phone saves me so much precious time. Instead of wasting my time typing out a giant paragraph, I can simply call the person I'm communicating with and say what I want to say in about 10 seconds. I'm convinced some of you would communicate via carrier pigeon if it meant you didn't need to utter words into a receiver. Um, hello? I don't even need to be holding on to my device to make a phone call. If I try to speak to text, though, it jumbles my words up or thinks I'm saying something different. I'd much rather put my best friend on speaker and set my phone down while I make some food, console a sad baby, do the laundry or take a quick drive to El Burrito Loco -- none of which I can do while simultaneously texting. Unless, of course, you ironically have poor connection. But generally, I feel much more connected to friends and family after hanging up the phone than I do after sending or reading a text. You can hear their laugh, their cries, their tone, their actual voice; what is there not to love? 5. It's a little bit nostalgic. As I mentioned earlier, I spent so much of my childhood on the phone talking to friends that when I have super long phone calls now to catch up with friends or talk to my fiance after a super long and busy day we've spent apart, it kind of reminds me of when I was little. It brings me back to the early 2000s when I'd lay on my bed while talking on the phone with my friends (sometimes 3-way calls, too) and we'd laugh about something funny that just happened in P.E. that day, or we'd mock our homeroom teacher. Who would not want to relive that? 6. Talking on the phone is an important and necessary life skill. 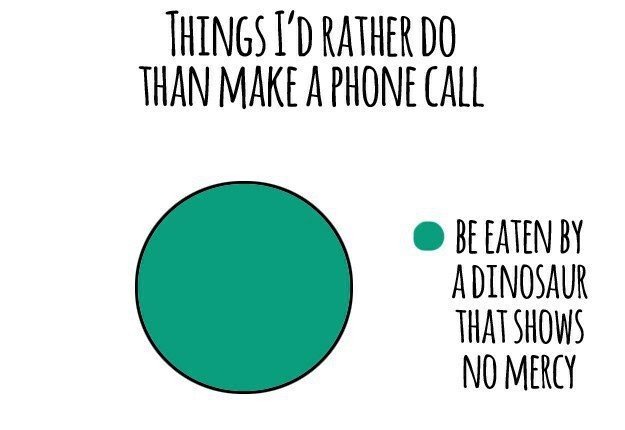 Much like talking in person to others is a life skill, being able to make phone calls is absolutely necessary for adulting, and not just when you want to order Domino's. Often times jobs require us to talk on the phone. Messed up bills require us to make phone calls to companies. Banking questions are often best-settled over the phone as opposed to online forums. And what if there's a real emergency? You going to text 911?